Heartburn (the ten-dollar word is reflux disease) is sneaky. Sometimes the symptoms are severe. And sometimes the symptoms are minor. But here's the thing. Just because your symptoms may be minor in no way means that your problem is minor. And likewise, just because your symptoms are bad doesn't mean your condition is. A new study shows just how unreliable heartburn symptoms can be. The authors looked at 76 patients complaining of heartburn and other symptoms from gastric reflux. Besides heartburn, reflux can also cause sore throat, cough, and throat congestion. Each patient rated their symptoms before the researchers scoped their digestive tract to find out how severe their condition was and whether or not they had a hiatal hernia. Here's what the researchers found out. Of the 76 participants, 10 patients had no hiatal hernia despite their symptoms. Another 15 had a small hiatal hernia, 20 had a medium-sized hiatal hernia, and 31 patients had a large hiatal hernia. And what about the degree of reflux? According to the authors, the severity of the symptoms or the kind of symptoms was unable to accurately predict how bad the reflux or the hiatal hernia was. So here's the point. 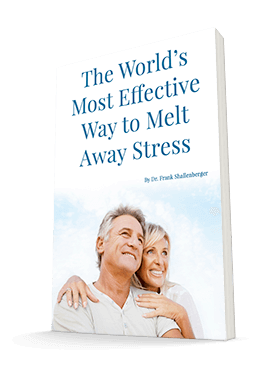 Millions of people have heartburn or reflux. I have written before that in the majority of cases it is caused by poor eating and drinking habits. 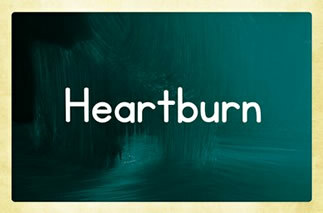 One of the best treatments for heartburn is Advanced Heartburn Relief. You can check the archives for my report on this and other heartburn and reflux remedies. The odds are good that you can cure the condition simply by following these recommendations. But sometimes there is a hernia causing the problem. So if you are trying all of my recommendations and still have symptoms, even if they are relatively minor, you might need some medical treatment. Fortunately, your doctor can effectively treat hiatal hernias — and insurance will usually cover the treatment. Levy S, Plymale M, Davenport DL, et al. Patient symptoms correlate poorly with objective measures among patients with gastroesophageal reflux disease. Am Surg. 2014 Sep;80(9):901-5.